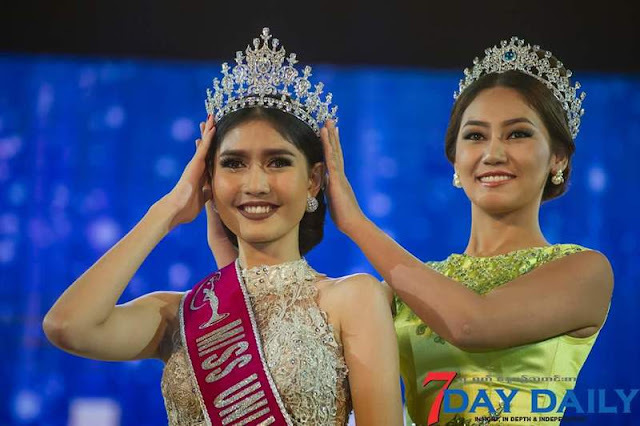 YANGON, Myanmar - Zun Than Sin (21) was crowned Miss Universe Myanmar 2017 at the Novotel Yangon Max on October 6. She will represent Myanmar in Miss Universe 2017. Shwe Eain Si and Ja Dim Kai finished in second and third place, respectively.